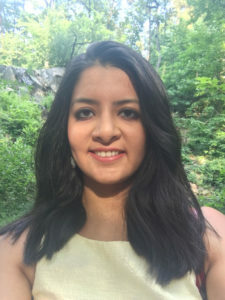 Divya is a Vice President in Global investment Research at Goldman Sachs, New York where she covers the US Large cap Pharmaceuticals and generics sector. Divya joined Goldman Sachs in London in 2011 as an analyst on the European Pharmaceuticals team before moving to New York in 2014. She grew up in India where she earned her undergraduate degree in Mathematics (Hons) at Delhi University before going to the University of Cambridge to complete her Masters in Economics. Divya is professionally trained in a Classical Indian dance form known as Bharatnatyam. She remains passionate about dance and pursues it as a hobby, and also enjoys watching ballets and musicals on Broadway. Divya learnt about Music for Autism through a friend – the purpose of the organization and benefit it provided children immediately resonated with her, motivating her to get more involved.